Get your comically large swords ready! That feeling's in the air - the feeling of eternal devotion, of pure intimacy, of Japanese animation. 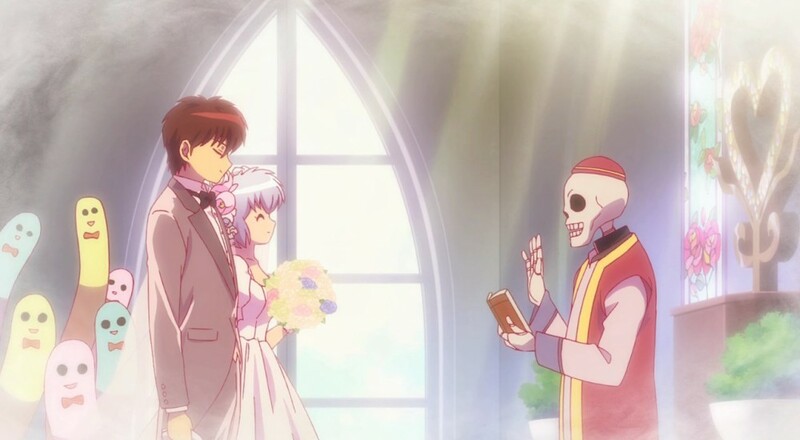 That's right, folks, it's anime wedding season! Now, listen. I know you're all busy this time of year picking wedding outfits, painting teardrops on your forehead, et cetera, but if you can, find a bit of time to stop by our own Mike Katsufrakis' wedding this weekend. I hear the location is lovely, and the reception will be pretty raucous. Those of us not participating in weeb-themed nuptials are playing MOBA-lites, re-enacting Campo Santo joints, and returning to the trials and tribulations of being a teenager. Check it out! Nick Puleo (@NickPuleo) - "Checking out some Tekken 7. Still hooked on Sim City Built It on iPad." Jason Love (@JLove55) - "With Red Hood coming out next week for Injustice 2, I suppose I should finish letting the game level my other toons (go go A.I. Battle Minions!) Also, maybe some Marvel Heroes." Mike Katsufrakis (@Pheriannath) - "I'm getting an anime wedding in FFXIV and I'm going to stream it." Marc Allie (@DjinniMan) - "Looking forward to some Heroes of the Storm this weekend." Locke Vincent (@LockeVincent) - "Going to a cabin in the woods. Possible reenactments of The Long Dark, Firewatch, or Flame and the Flood. But really, we're going to play a bunch of disc golf and board games." Tally Callahan - "Hoping to get in some Bioshock on the PS4, Overwatch on the PC, and Near and Far on the table for a trifecta of gaming goodness." Enoch Starnes (@enochstarnes) - "I'll be spending a good bit of time finishing up Tales of Berseria and (hopefully) getting a few rounds of Invisible Inc in." Matthew Squaire (@mattaghetti) - "New job has me training this weekend but may try for some Life is Strange, when I can." E3 is just around the corner. Any plans or predictions? Let us know in the comments!